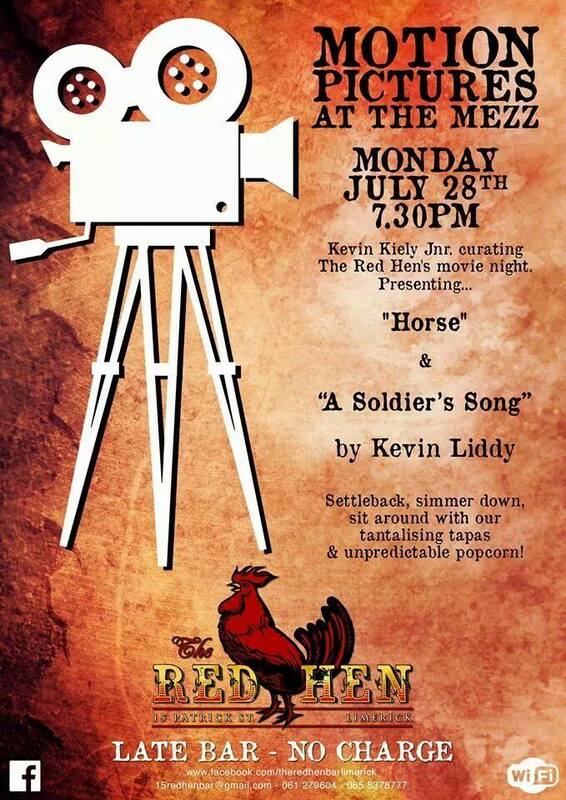 Master Director to Feature at The Red Hen tonight! Following the successful Premiere of his latest short film ‘The Suffering Kind’, at the Galway Film Fleadh, two of Kevin Liddy’s previous masterpieces of cinema, ‘Horse’ and ‘A Soldier’s Song’ will be screened at The Red Hen in Limerick tonight from 7:30pm. Motion Pictures at the Mezz is the brain child of Kevin Kiely Jr. and features different local talent every fortnight.